Is This Year’s FSA a Student Survey? Less than a week into this year’s FSA testing season (March 1 through May 18) and data-mining alarms are blaring. We should pace ourselves. It’s a hot topic with political consequences for every municipality (see here, here, here and here). Communities are divided. Understandably, some parents are conflicted about the start times and work schedules. School boards are balking at the cost of adding bus routes, drivers…. While we would agree with the actual evidence and arguments supporting later start times for adolescents, that’s not the issue here. If they want to force their high stakes onto our children, they need to do a better job of putting valid test questions together. The questions don’t seem to be balanced. The questions, as presented, steer children toward a particular outcome, complete with reward or punishment for thinking (arguing) one way over another. The thing is, the kids know it and they know how to game the system to produce the desired result – which is how the data-miners can sell their product: students’ data. Rigged much? 1. Gun Control. One source was supportive – and two sources were opposed, one without solid evidence and one was more of an opinion piece. 2. Inventions that happen by chance – Sources for this one were more balanced. Considering that Florida is rampant with student activism now, specifically about gun control, this is conspicuous and conveniently timely. In a recent practice test with writing prompts about the Electoral College, two sources were opposed with “data-based sources”, while the one supporting the Electoral College was not well sourced. It essentially forced students to write an essay, where the favored position was in opposition to the Electoral College – for a better test score. One student tried to write his essay FOR the Electoral College but became “super frustrated.” He stopped his essay and refocused it to write about how poor the sources were and why. We think he did the right thing. It was also reported to us that the “electoral college” prompt was an actual prompt for this week’s test. Therefore, some students had a prompt that they may have had time to think about! So exactly WHO is writing the FSA questions? What have you asked your kids about the FSA this week, and what have they told you? We’d really like to know. Teachers can’t tell us. They’re not allowed to know. Is it possible that the tests are just poorly written? Sure. Anything is possible. But so far, just one week into testing, Florida’s 2018 FSA duck is quacking like a student survey. As long as the State of Florida continues to tie high stakes consequences to these poorly written tests, parents should know that they don’t have to buy whatever it is they’re selling – certainly not that these tests will improve education. One of the most important things for parents to know is that they don’t have to offer up their children’s data to feed the high stakes testing machine and Florida’s false accountability that, every single day, diminishes and labels our students, teachers and schools. At the last Seminole County School Board meeting, parents and teachers provided input about the Third Grade lawsuit, involving Seminole County students. After Jodi Parham read for Rhonda Nickerson (at 58:00), the board stated (at 1:01:35) that they would typically not accept public comments about pending litigation. The attorney for SCPS provided a brief update on the lawsuit to the board (at 1:02:05). My speech was cut short (Video from 1:04:15 to 1:06:58). Thank you for the opportunity to address you yesterday evening. Had I been permitted to complete my statement, this is what I would have shared with you. While I do understand that the district may not be able to comment publicly on pending litigation, I would put forth, respectfully, that the public certainly has the right to provide comment – of course, with no expectation that the board would respond publicly. I sincerely hope that you will give this serious consideration. Other districts have successfully worked with parents in the lawsuit. I appreciate that this will be added to the record of yesterday’s meeting. Thank you for your consideration. I’m here today, because of two proficient children from Seminole in the lawsuit, who are still officially retained in the third grade simply because they have no test score, against the Judge’s order and against Florida education statutes. Nowhere does it say that a portfolio must be made up exclusively of multiple choice test items. A real portfolio, which meets the state guidelines, as Sarina Nickerson’s portfolio does, is without question, a more through and rigorous measure of her teacher’s and this district’s accountability than any single test. It should be held up as an example for all. Instead, it is dismissed, as was this student’s educational rights. Currently, Sarina must be homeschooled for her own protection from the actions of this district. Fortunately for her, her family is able to do this. Camryn Weaver is not so lucky. She is gifted, and reads above the 6th grade level. She is in 4th grade math, but 3rd grade for everything else. The law dictates strict parameters for how a retained student must be remediated. If that were happening for Camryn Weaver, she would not be repeating third grade work right now. That she is in 4th grade math tells me that the district has the authority to be flexible. 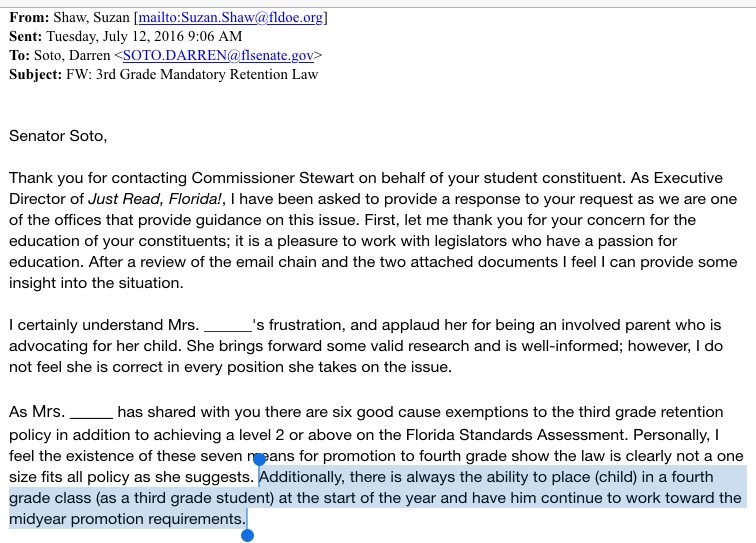 It was also the district’s legal option to place her in a 4th grade class, pending a mid year promotion, but that is not happening either (See References – Attached is an e-mail excerpt from the FLDOE to Senator Darren Soto attesting that this is an acceptable course of action). Her mother tells me that Camryn now says things like, “I’m just stupid.” (I did not state this at the meeting, as Camryn was in the audience, but it is what she now says, where she never did before. )What have we become when children need protection from public education? Research consistently shows that students are better off being promoted and provided the intervention and support they need. The short term gains in improved test scores in the 4th grade, are outstripped by the long-term harm of retention. I ask you to consider this for each child as you go forward. By law, retention decisions are never supposed to be made on the sole basis of a test score, but that is exactly what has happened to these children. Parents are supposed to be included in these decisions. If the children are simply collateral damage, please ask yourselves, To what end? I have met with some of you personally and I believe you when you say that, as a district, you put children and teachers first. You have said that your hands were tied because you were obligated to follow the law. The Judge’s court order has untied them now. Just a year and a half ago, when the law about minimal participation was unclear, you led the way with your courageous decisions to treat children ethically and with respect (here and here). Districts across the state followed your lead. The law is clear now. Courage is not required, only the will to do right by these children. Please restore our trust that this district puts children first. It isn’t part of the educator’s creed to “First do no harm”, but it should be. * Page 19, Item 32 The Plaintiff may pursue administrative proceedings regarding her preference for a teacher-compiled portfolio based on school work completed in the year to one based on standards assessment testing, if she wishes. ** Page 13, Item 18 The School Board and State Education Defendants had no right to ignore the legislatively adopted portfolio option. No statute limits promotion to grade 4 solely to tests; the Legislature has made clear that the portfolio option is an alternate option that is still available to all of Florida’s children. Section 1008.25(5}, Florida Statutes. *** Page 14, Item 19 Accordingly, the Hernando County School Board is ORDERED to immediately refrain from further actions contrary to the availability of the portfolio option, and is ORDERED to immediately provide the portfolio option, at minimum, to any parent who has requested one or who requests one going forward. B-1. Why would a teacher use a student portfolio? Section 1008.25(6)(b)4., F.S., states that a student who scores a Level 1 on the grade 3 statewide FSA-ELA may be promoted to fourth grade if the student demonstrates through a student portfolio that the student is performing at least at Level 2 on the statewide standardized assessment. B-2. When should the teacher and students begin the third-grade student portfolio? A parent of a student in grade 3 who is identified anytime during the school year as being at risk of retention may request that the school immediately begin collecting evidence for the portfolio. B-3. Are there guidelines provided by the state for the third-grade student portfolio? •Be signed by the teacher and the principal as an accurate assessment of the required reading skills. Additionally, note that the Just Read, Florida! Office has begun creating an updated Third- Grade State Portfolio. B-4. Do the same portfolio guidelines apply to ESE students? Yes. The state portfolio guidelines apply to all students, including ESE students. B-5. Is the student portfolio the only tool used for good cause exemption and/or promoting a third-grade student to fourth grade in the middle of the year? No. The student portfolio and an alternative assessment are the two state-approved options for good cause exemption and mid-year promotion. The student must be offered both options. However, the student must only demonstrate proficiency on one of the options in order to receive a good cause exemption or be promoted midyear. B-6. If a teacher is monitoring the progress of a student, is a portfolio needed? Yes. A portfolio provides ongoing information on how a student is performing on tested benchmarks. There are specific requirements of necessary elements that must be included in a portfolio used for promotion (please refer to question B-3 of this document for the requirements). If a teacher chooses to follow the rigor of the state portfolio requirements, a portfolio may be used for progress monitoring as well as promotion. asserting that 4th grade placement with mid-year promotion is an allowable option. E-3. Can a third-grade student, potentially eligible for mid-year promotion, be placed in a fourth-grade classroom and then promoted after demonstrating proficiency on the portfolio or an alternative assessment? Yes. Districts need to meet the individual needs of students. This can be achieved through implementing creative multi-age grouping or a transitional-classroom setting. E-4. Why would a decision be made about a student’s placement during the first semester of the academic year? Students should be promoted midyear or as soon as possible so they receive essential fourth- grade instruction. For example, if a student has attended a Summer Reading Camp and demonstrated mastery of all benchmarks but one, the student could show proficiency in the deficit benchmark and then be promoted to fourth grade. Any student meeting specified state requirements may be promoted midyear. E-5. How many samples of proficiency are required for each benchmark in order for a student to be promoted midyear? In any given school year, a student must have three examples of each benchmark successfully completed on the third-grade level, with a score of 70 percent or above on each example, in order to be promoted midyear. Rule 6A-1.094222, F.A.C. Failing to implement a mid-year promotion, will the district adhere to the letter of the law here (below), as it pertains to students retained without any documented reading deficiency? And – Is this happening for ALL students who have been retained? a. Integration of science and social studies content within the 90-minute block. d. More frequent progress monitoring. f. Transition classes containing 3rd and 4th grade students. g. Extended school day, week, or year. 2. Provide written notification to the parent of a student who is retained under the provisions of paragraph (5)(b) that his or her child has not met the proficiency level required for promotion and the reasons the child is not eligible for a good cause exemption as provided in paragraph (6)(b). The notification must comply with the provisions of s. 1002.20(15) and must include a description of proposed interventions and supports that will be provided to the child to remediate the identified areas of reading deficiency. 3. Implement a policy for the midyear promotion of a student retained under the provisions of paragraph (5)(b) who can demonstrate that he or she is a successful and independent reader and performing at or above grade level in reading or, upon implementation of English Language Arts assessments, performing at or above grade level in English Language Arts. Tools that school districts may use in reevaluating a student retained may include subsequent assessments, alternative assessments, and portfolio reviews, in accordance with rules of the State Board of Education. Students promoted during the school year after November 1 must demonstrate proficiency levels in reading equivalent to the level necessary for the beginning of grade 4. The rules adopted by the State Board of Education must include standards that provide a reasonable expectation that the student’s progress is sufficient to master appropriate grade 4 level reading skills. 4. Provide students who are retained under the provisions of paragraph (5)(b) with a highly effective teacher as determined by the teacher’s performance evaluation under s. 1012.34.
a. Be provided to a student in grade 3 who scores Level 1 on the statewide, standardized English Language Arts assessment and who was retained in grade 3 the prior year because of scoring Level 1.
b. Have a reduced teacher-student ratio. c. Provide uninterrupted reading instruction for the majority of student contact time each day and incorporate opportunities to master the grade 4 Next Generation Sunshine State Standards in other core subject areas. d. Use a reading program that is scientifically research-based and has proven results in accelerating student reading achievement within the same school year. e. Provide intensive language and vocabulary instruction using a scientifically research-based program, including use of a speech-language therapist. State portfolio guidelines are clearly outlined here as well. Brandy Paternoster is one of the plaintiffs in the lawsuit to make #180DaysCount in school. Her compelling address at the Broward County Public Schools’ Board meeting yesterday, is an indictment of the district’s position and their appeal of Judge Karen Giever’s Court ruling on August 26. “Good afternoon. My name is Brandy Paternoster and these are my 4th grade twins, Dylan and Jadyn. They have attended Manatee Bay Elementary in Weston since the first grade. They passed the 3rd grade last year …according to their teachers and according to their report cards, but the district says they must be retained. I was ignored. The principal stated that it was coming down from the district and that without a test score, her hands were tied. I refused any additional testing because test participation requirement had already been met and our children are more than a test score! This is a direct quote from the principal’s sworn statement. Let that sink in. Back in June, all they needed was a test score to promote. Now, all of a sudden, they are not even proficient? You see, in addition to providing the facts and dates and emails and documents as required of her in her affidavit, this “educator” made a choice. Her statement could have read, “Because they did not meet the state requirement…” or “Because they don’t have a test score…” and though I don’t agree with either statement, they would still have supported the districts stance without crossing any lines. But she didn’t. She made a choice. For a test score. She chose to lie. I don’t know if her statement was influenced by her supervisors (I suspect that it was) or if she chose those words all by herself. We may never know, but make no mistake, she made a choice. Mrs. DeVaughn made a choice to NOT stand up for children who were present in the classroom for 180 days of work, who do not have a reading deficiency and who clearly are on grade level. She chose not to support her teachers, whom she hired, or their ability to teach and grade students effectively and accurately. She chose not to trust in their teaching certificates or their degrees or their most basic moral character. She chose not to back her own school or the systems she has put in place to ensure her wards navigate the education system successfully. Mrs. DeVaughn chose to support a testing system that is broken and in doing so betrayed it all. Her statement says that her school failed to catch, not one, but two students who supposedly can’t keep up but passed all subjects. It says that her hiring practices failed. It says that two good teachers are incompetent liars. It says that two amazing children are failures. Mrs. DeVaughn chose to sacrifice 2 children to the gods of “The Test” presumably to garner some unimaginable favor. She chose wrong. And you, as school board members, chose wrong when you decided to appeal Judge Gievers’ ruling. Her ruling untied your hands and gave you the opportunity to say, “Ya know what, we screwed up, but we’re gonna fix it now,” but you didn’t. I leave you with one final thought. My tax dollars, your tax dollars are paying for lawyers to fight against children who are clearly proficient, as defined by the letter of the law – to punish me for standing up and saying “NO” to a flawed testing system. Our tax dollars are being used to appeal the judge’s ruling, that was in our favor, that said, “Yes, the FDOE and the Broward County School Board did indeed act unlawfully”; to make an example of us for daring to have a voice and to ensure that no one else will ever be brave enough to do the same. I stand here for our teachers. I stand here for our children. They are more than a test score! Sincere thanks to the members of the Broward Teachers Union for supporting Brandy and Trudy by yielding their time so that they could properly address these issues with the Broward Board. The plaintiff families are fighting to hold the FLDOE and school districts accountable to the PUBLIC. They are fighting for all children in Florida public schools. To learn more about the lawsuit to fight mandatory third grade retention, follow the hashtag #180DaysCount on Facebook and Twitter. A complete copy of Judge Gievers’ ruling and Court Order can be found here. A WIN For Education in Florida Today! Since last week Friday, August 26, when Judge Gievers ruled most favorably for the plaintiffs in the third grade lawsuit, it feels like we’ve been on a rollercoaster. As soon as the judge’s ruling was made public, Orange County filed their prepared appeal, to which OCPS legal counsel referred many times during the course of the nine hour hearing at the beginning of that week. Soon after, Hernando, Broward and Seminole Counties followed suit. 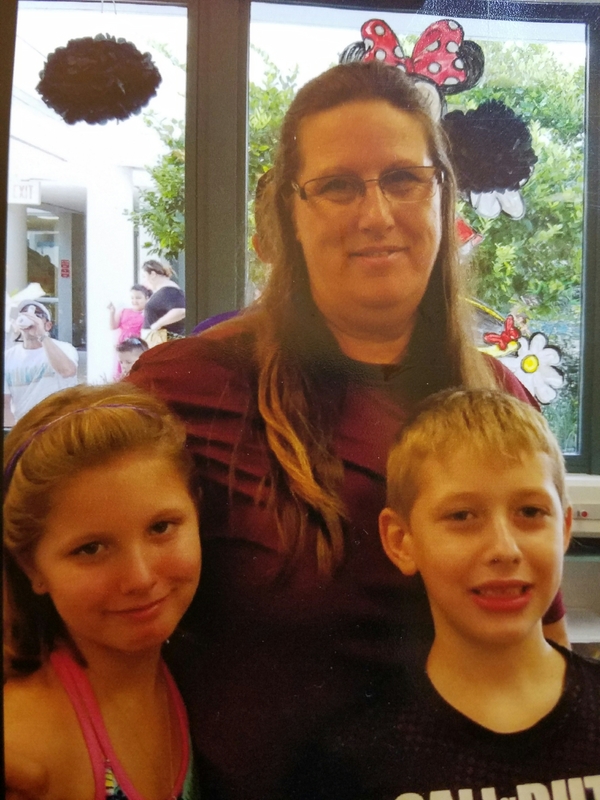 Last week, three of the children in the suit from Hernando County, who had their rights upheld by the Court, showed up eager to start school in the fourth grade, as Judge Gievers had ordered. In a brazen and cruel move, Chocachatti Elementary School told the children they could go to the fourth grade, just not there. Details are spelled out here, here and in the Tampa Bay Times editorial below, but suffice it to say that if the school had followed the law in the first place, the children would have been promoted in June and there would be no reason for them to file a lawsuit. Their parents would not have had to protect them from the emotional abuse of repeating a grade, out of which they had earned their way the year before. The two Seminole County families were directed by the judge, to first seek administrative relief with their district. Seminole County Public Schools told the parents that their children would be promoted IF they take and pass the same test items to make up a portfolio or the IOWA, both of which they had refused before… Stalemate. So did the judge say they could go to the fourth grade or not? There has been some confusion surrounding the Third Grade families’ lawsuit and the attached motion for injunctive relief. First, this case is not over. The motion for relief was just the first step, that had to be addressed before the suit can get under way. The families are challenging the Florida Statutes and how the FLDOE and school boards are applying the statutes to disadvantage the children and children across Florida. The State is failing to apply the exemptions provided in the statutes. They are retaining children just for non-performance on testing in violation of State law. The Court ruled favorably to the families on many of these issues and if you have read the ruling, you know what they are. So why doesn’t it feel like the children are winning? Why are the children still in 3rd grade? The children ARE winning… but the process takes time. Attorney Mogenson asked for emergency relief on behalf of each child. Judge Gievers granted relief only to some, in spite of the request. This may not have been clear, because the judge did not allow for closing arguments. The emergency relief sought is promotion to the 4th grade, based on report cards. The judge, while favorable to our point of view, felt that the LAW limited her as far as EMERGENCY relief. So she gave some relief (but not all that was asked for) to some of the children. These issues will also be addressed in the trial ahead. Her ruling stated clearly, however, that she saw violations of the law, for which relief cannot yet be granted. Second, one problem for the families is that the order that is in place right now is not yet enforceable. While districts could voluntarily comply, since it has been pointed out to them what the law is, the decision to enter the order is the subject of an appeal which stays (or puts on hold) the enforcement of the order and additional proceedings. Mogensen has petitioned the trial court to lift this stay and the court’s decision about this is currently pending. The judge will either lift the stay and the order will become effective, or the families will have to wait for the end of the appeal and our hope is that the families would prevail on appeal. Assuming that one of those things happens, the order would then become immediately effective. And finally, this battle is far from over, but it is a battle. And it will be a costly one.Public support will be crucial to keep it going. Remember that only the request for emergency relief has been ruled on. The lawsuit, as a whole, has not even been presented in court as yet. The amount of work for this case is enormous, because there are so many families, so many facts, and so many different district responses – layers of laws that are not being followed. In addition, there are multiple lawyers for each defendant on the other side, who are all spending hours (and public resources) filing challenges to everything. Many of the challenges have been of an emergency nature, which has required emergency responses. The court of public opinion seems, overwhelmingly, to be in our favor. We are all anxious to see results for the children and for decisions that will have far-reaching implications. We encourage everyone to remain patient and remain supportive as this unfolds. The families and attorneys are doing important work that could benefit all children. They are committed to seeing this through and are in it for the long haul. The Court seems inclined to agree with our point of view. Public awareness of the lawsuit is growing, both statewide and nationally. Social groups and news networks are picking it up. Parents are discussing it in grocery lines and on the soccer sidelines. This victory with the motion granted and the judge’s stern rebuke of the state and districts’ utter manipulation of the law to their own ends has been a thing to see. Many parents have shared with us that, because of this lawsuit, they now believe there is more reason than ever to push for change. We are steadily chipping away at madness that has been high stakes standardized testing. “I am a “mommy-retired” lawyer, and this sort of “bury them with motions” crap makes me ill. Good luck with everything. Don’t let them push you all around. Opposing counsel are about winning, which is the name of the game in law (and they are doing their jobs, sadly); however, the DOE is failing to consider the optics here. How does it look to the parents of this state that the department our tax dollars support is playing hard ball with third/fourth graders and their parents?? Bad, bad move, DOE. Media coverage has consistently reported the public’s frustration with the DOE (even school districts’ own frustration with them) and about our outrage over how some of the plaintiff children continue to be mistreated by their school districts and their schools, even after the judge’s ruling. On behalf of the families, thank you for your continued generosity and encouragement. For years, school boards have been telling parents how much they sympathized and empathized with us, as we have pleaded and protested to make a year of school count for more than one test. There are districts doing right by the children and promoting them, as the law specifies. 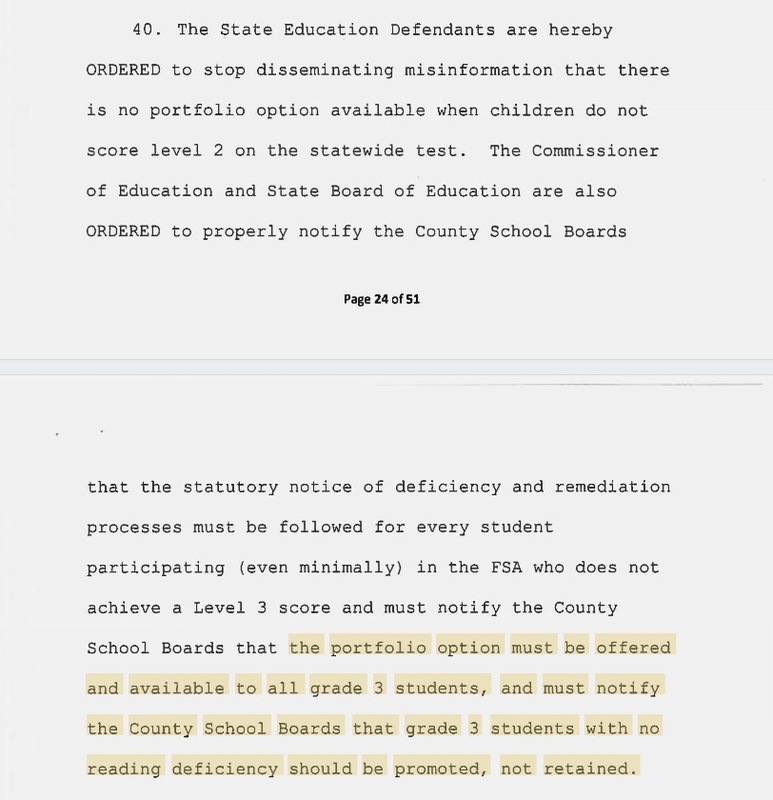 However, immediately following Judge Gievers’ ruling last Friday, effectively “untying the hands” of all school districts in Florida to do as parents have requested and use a portfolio assessment (not the same as the state’s portfolio test bank), Orange and Hernando Counties filed their already prepared appeals. It’s clear now, that the boards’ chants of, “Our hands are tied” were just excuses to not do better. Sadly, yesterday, Broward and Seminole Counties followed suit, in defiance of the judge’s orders. Parents, educators and activists have reached out to you for years, asking for your help and guidance. Again and again we got the same messages. The order issued last week by a Florida Court finally freed those hands completely as the judge’s order made it clear that the districts had not been following the law (as directed by the purposely absent hand of the FLDOE). I waited for the celebration from the districts. Finally! Those hands were freed and with them, so too, our kids. Finally! School boards were free to follow the statutes plain language AND with the support of the court. Finally! You could authorize superintendents and principals to promote all those proficient students to fourth grade, saving tax dollars & reducing the harm already done to them under your authority. Finally! School boards could recognize, as it was demonstrated plainly in court, that the FLDOE does not have your back. Finally! The focus of school districts would be our students, not serving the illegal mandates of the FLDOE. First, Orange County Public Schools appealed the judge’s ruling, followed by Hernando, Broward, and sadly, Seminole Counties. The FLDOE’s appeal is expected, but I’d rather the districts hadn’t raced them to do so. Though it shows us who is who. This speaks volumes about those districts, demanding free hands to continue harm against students. If you think parents won’t be aware, you are wrong. I believe the impeachment of any elected official, seeking to continue harm to children by refusing to follow a court order is not only appropriate, but the only appropriate action. I’m asking that they resign right now. I have little hope of that, given the complete lack of honor with which these districts (and therefore school Boards) have approached the last school year (and more) on this subject. I will not accept “our hands are tied” ever again. Throughout history, “I was following orders” has been the excuse of cowards and those who lack honor. I’m not asking for anything extraordinary. I am asking that school boards in Florida do the right thing. These families, including children, chose to be honorable and brave. You should try it. The Opt Out Florida Network is celebrating substantial victories today with the Order issued by Judge Karen Gievers. Mandatory Third Grade Retention is a cornerstone of Florida’s failed Accountability System that tests and punishes our students. Today was a good day for Florida’s students, but this fight is not over. Our work to support children being assessed on their 180 days of classroom work, to include the professional teacher as a primary expert in these decisions, continues. As of today, Judge Karen Gievers ruled that Florida third graders can be promoted based on a portfolio or a report card, unless their parents have been notified that there is a reading deficiency. Judge Gievers also confirmed that minimally participating (Opting Out) does indeed satisfy the requirement of the law. In the coming days, Florida school districts, and the Florida Department of Education, will attempt to appeal and to ask for stays of this order. It could be heard by the Florida Supreme Court shortly. On behalf of the families who have stood up in this lawsuit, we would like to express our gratitude for the support and generosity of all who have contributed, many repeatedly, to the legal fund. It is worth noting that many, many donations have come from educators all across the country. While this challenge has the potential to cause statewide change, and offer support to other states looking to do the same, it will come at great expense. The state had argued that allowing students to opt out of standardized tests would undermine the Jeb Bush-era focus on testing, while the parents claimed that the law allowed for promotion decisions to be based on report cards and actual classroom participation. 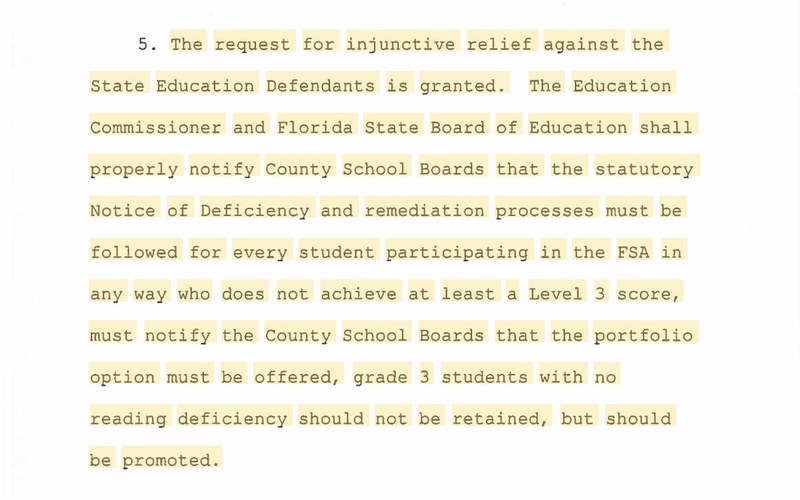 The Court also found it unlawful in districts such as Hernando County where a child without a reading deficiency who has not passed the FSA is held back, citing Florida Statute 1008.25(5)(c)(6) which prohibits retaining students solely for FSA non-compliance. The judge ordered the Department of Education to stop disseminating misinformation that promotion required a level 2 score on the statewide test, finding that report cards and classroom work could be used to promote a third grader. “We are very pleased that the court agreed with us that it is in the public interest that the State Board of Education and school districts in Florida follow our laws, and focus on whether children can read, not whether they took a particular test,” said Andrea Flynn Mogensen, lead counsel for the children. The ruling came at a critical juncture for what’s known as the opt-out movement. The Department and local school boards had amassed a legal team of more than 20 lawyers to fight the lawsuit, which has been on a legal roller coaster since it was filed 16 days ago. The case was briefly removed to federal court, but the parents were able to obtain a ruling from a federal judge two days later sending it back to state court. School boards from around the state then filed an emergency appeal with the First District Court of Appeal in Tallahassee, seeking to stop Gievers from taking evidence in the case. Gievers held a marathon 9-hour hearing earlier this week, taking testimony from state educational officials from across the state as well as parents of third grade students. A copy of the ruling can be found at http://goo.gl/aeFvOL. Growing public awareness surrounding the Florida parents’ lawsuit against the Florida Dept of Education and six school districts has brought parents clamoring to get into the thirty-five opt out groups across Florida. Parents are outraged by just how much testing has steamrolled public education, stealing valuable instruction time given over to test prep. They want to know how to fight for authentic education for their own children. Even before last Friday’s court ruling affirming what we have long believed, The Opt Out Florida Network had been inundated with requests from parents, who want to know how to make sure that their children’s 180 days in school aren’t laid to waste by a single State test, that could send their child back to the third grade, even after they have proved mastery of the required standards. Certified teachers have created a portfolio checklist, with all of the State’s portfolio requirements outlined in Florida Statute, Florida Administrative Code and a FLDOE Technical Assistance Paper. At the risk of redundancy, multiple sources are cited throughout this post in order to assure parents, teachers, administrators and school districts that the checklist offered here does indeed meet ALL of the State’s required guidelines for a portfolio used as an alternative assessment. In an ideal world, proof of competency, proficiency and mastery would be demonstrated in an authentic portfolio of work completed independently in a classroom, under the guidance of a trusted, professional teacher. TO BE VERY CLEAR – As far as The Opt Out Florida Network is concerned, an authentic student portfolio would include various types of student work samples: artwork, creative writing, evidence of deep understanding, evidence of critical thinking, independent projects, etc. It appears that the stance of the FLDOE has been that no parent should expect that an authentic portfolio would be used for promotion in any Florida public school, even with all of the “honor and privilege” of a teacher’s degree and certification behind it. Because we just can’t trust teachers. But we can trust a glitch-ridden, developmentally inappropriate, not fully validated, multiple choice test with “fluid” cut scores. The State says that report cards are meaningless and have therefore created test bank items that may make up a “test portfolio.” The law does NOT require parents to accept a portfolio comprised only, or in any way, of these test bank items. Teacher, school or district-prepared assessment examples. NOWHERE does it say that a portfolio must utilize ANY content from the IBTP. Many teachers have reported that the portfolio assessments are even more developmentally inappropriate for the average third grader than the FSA practice test. If a parent refuses the alternative testing offered and insists on a statutory portfolio, it would be made up of the assessments (assignments, projects, reports, quizzes, tests) done in school throughout the regular school year. Parents should be aware that these may now include competency-based education, such as progress monitoring (predictive testing) from iReady, STAR, Accelerated Reader and so on. Some parents allow their students to take these tests, not knowing that they have a choice. Many parents successfully refuse these tests and ask that their child be given reading or other work of the teacher’s choosing. There is no State mandate for these additional tests, no matter what a school district may tell you. If you are told that they are mandated, you should be asking “By whom?” and you should also be asking for the statute mandating such testing. The ONLY State-mandated test is the FSA. One of the most important statements we make in refusing these tests is that we trust that our teachers are trained professionals. We have more trust and confidence in their ability to work with our children all year long, to teach and to assess them, than we do in any single test. For the purposes of clarity here, we will distinguish between an “authentic portfolio,” the state’s “test portfolio” and a “statutory portfolio”, which is the one we offer help with here. To this end, certified teachers have created a checklist to to help track the development of a statutory third grade portfolio throughout the school year, that would meet the requirements of Florida law as well as that of the Dept. of Education. Parents may ascertain that their child’s work will count for SOMETHING by requesting that a portfolio of completed classwork be compiled and maintained to assure a more meaningful record of a student’s work throughout the year, than the state’s series of portfolio tests. Please click on these two documents to share with your child’s teacher. The checklist is a user-friendly, expandable table in a word doc. It has been tested by a third grade teacher, who recently used it to certify a retained student’s portfolio. “This is a wonderful tool! The idea to have the standards broken up into clusters and space to list the examples underneath each cluster came from my recent experience of validating a retained child’s body of work from scratch. It was helpful in keeping everything organized. To be sure, many assignments landed in more than one area. When I was finished, however, I ended up with a nice list of each standard with three examples. This way I could also tell if there was enough evidence for each standard easily. Passage word counts must be between 100 – 700 words, the overall average word count of the passages is to be 500 words. This is far from an authentic representation of all of the work your child will do for 180 days with their teacher in the Third Grade. But following these guidelines should fulfill the state’s portfolio requirements in order to avoid what so many families are enduring now. (c) Include evidence that the standards assessed by the grade three statewide English Language Arts Florida Standards Assessment have been met. Evidence is to include multiple choice items and passages that are approximately sixty (60) percent literary text and forty (40) percent information text, and that are between 100-700 words with an average of 500 words. Such evidence could include chapter or unit tests from the district’s/school’s adopted core reading curriculum that are aligned with the Language Arts Florida Standards or teacher-prepared assessments. (e) Be signed by the teacher and the principal as an accurate assessment of the required reading skills. Today, in districts across Florida, the school year began and children are moving on up to the next grade. But many proficient children, who proved their skills for 180 days in the Third Grade last year, are not joining their friends in the Fourth Grade. In response to the districts that say their hands are tied, courageous parents of retained third grade students have taken their fight to a Court of Law. It’s officially on the books in Tallahassee now, folks and lawmakers are on notice. This suit is an indictment of test and punish accountability systems everywhere. A positive outcome from this case will have repercussions nationally – for the benefit of ALL children in public schools. The emergency motion for indicative relief seeks immediate relief for students currently retained in the third grade, who are without a documented reading deficiency. 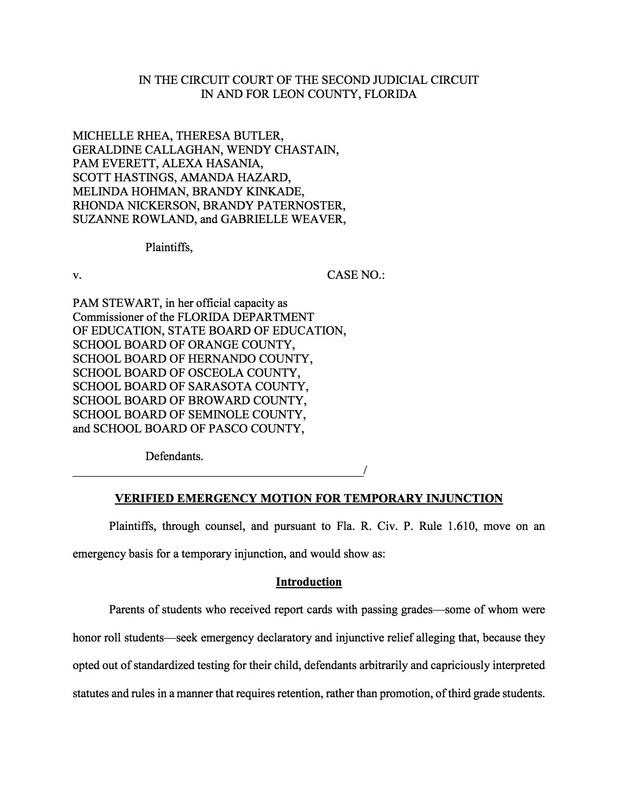 Parents of students who received report cards with passing grades—some of whom were honor roll students—seek emergency declaratory and injunctive relief alleging that, because they opted out of standardized testing for their child, defendants arbitrarily and capriciously interpreted statutes and rules in a manner that requires retention, rather than promotion, of third grade students. The result is that students with no reading deficiency are retained in the third grade solely because they opt-out of standardized testing. Defendants’ policy means that a third- grader who takes standardized tests and scores poorly—whether intentionally or not—can still be promoted. Yet, an outstanding student who regularly produces proficient school work in the classroom for which they receive passing grades will be retained simply for not taking a standardized test that they are permitted to opt of under the Florida Statutes. Because the receipt of federal dollars is at stake unless 95 percent of students participate in standardized testing, test participation is treated as more important than actual performance. These actions produce an arbitrary and capricious result that violates the Equal Protection Clause and the Due Process Clause. Emergency relief is warranted because Honor Roll students with no reading deficiency who earned passing grades will be retained in the third grade for the school year beginning in mid-August 2016. Plaintiffs did not receive notice that their child would be retained under the mandatory retention provision until late in the school year or after the school year had concluded. School districts across the state concede that they dropped the ball on the portfolio exemption because the Department of Education gave inconsistent guidance throughout the school year on what is required under the student portfolio exemption, which is provided for in Fla. Admin. Code Ann. r. 6A-1.094221 and Fla. Stat., § 1008.25(6). The irreparable injury caused by such actions warrants emergency injunctive relief because similarly situated students are treated quite differently without any rational basis or legitimate governmental objective. Absent emergency relief, the Plaintiffs will suffer irreparable harm by having to repeat the third grade, which will cause devastating effects to students with no reading deficiencies who actually earned passing grades. The Law Office of Andrea Flynn Mogensen, P.A. 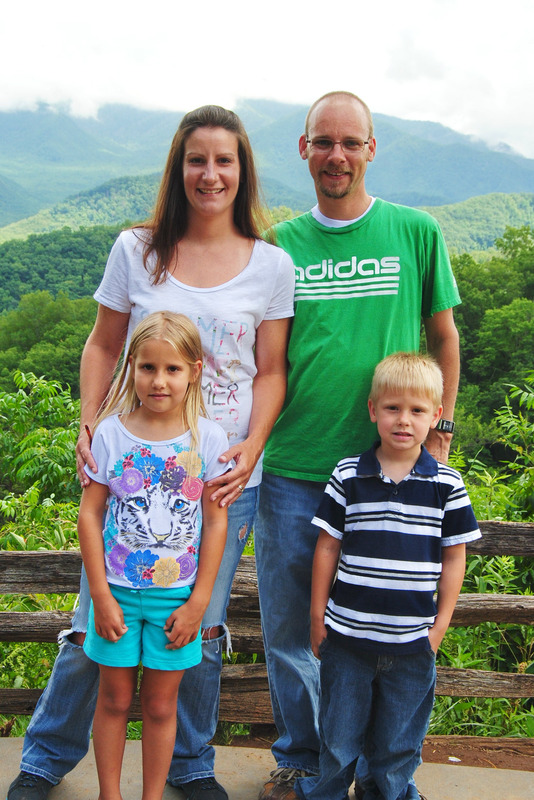 Meet the courageous families from Hernando County, fighting mandatory Third Grade retention. We have less than $5,000 to raise! Show these families that you appreciate their commitment and click here to donate to the legal fund to make #180DaysCount for ALL kids! “We are here because our school system has failed my honor roll student. Thanks to Maria Schultz for pointing me to the Opt Out direction. Thank you to everyone donating to this effort. We are making steady progress. Support is wonderful from parents and educators alike. Tally: Up to $5,075 and counting! Support is coming in from all over the country! 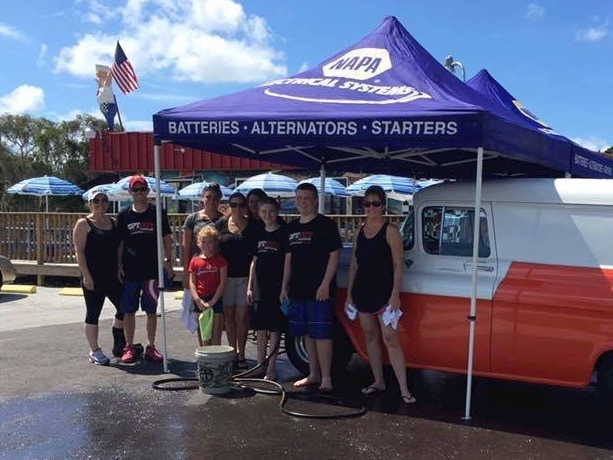 Opt Out Manatee’s car wash raised $500! Manatee kids aren’t being retained, but their community knows this lawsuit has positive implications for ALL children and they’re doing their part to help. The creator of the award-winning documentary “NaturePlay – Take Childhood Back” is offering a Free Screening License with a donation of $300 or more. Donate to this GoFundMe campaign and then contact them to confirm your screening. If you have donated $300+, click HERE for Nature Play contact info. Community screenings of “Nature Play” can be used to create fundraisers for the legal fund! If you would like to use your Free Screening License as a fundraiser, limitations, rules and regulations apply and are provided by Nature Play. $3 (25%) from each shirt will go to this fund. To order yours, click HERE. Are you in Duval County? Please support this fundraiser! 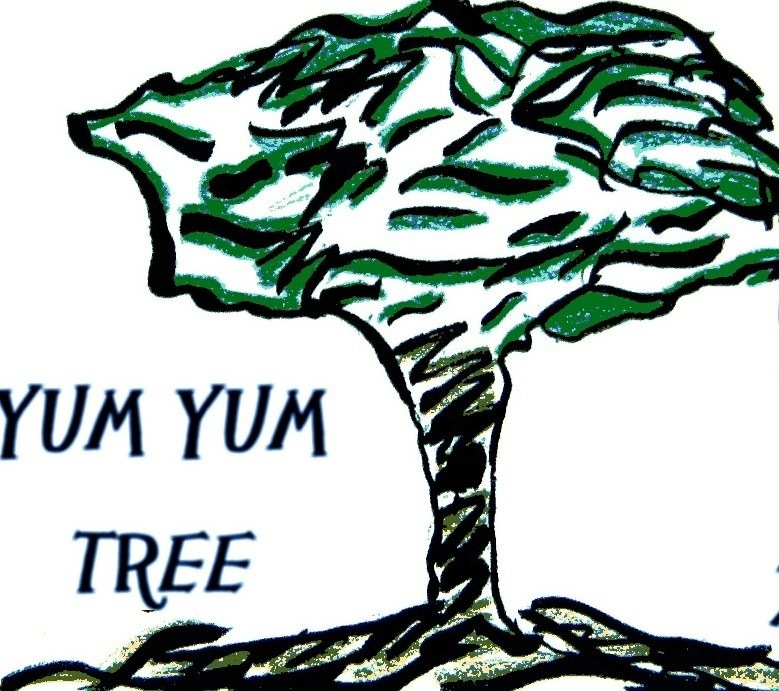 On July 26, The Yum Yum Tree will donate net profits from 5:00-8:00 PM! The regular menu will be available and all profits from 5:00-8:00 PM will be donated to the lawsuit. For more info, you can visit: TheYumYumTree.com and Facebook page. Challenge your friends! Every dollar counts! Share why you are donating to this cause. Challenge your friends to match your gift. School board members from Hernando, Manatee and Osceola Counties have now contributed to the fund. Nothing like putting your money where your mouth is to show you understand the issues clearly. “Sarasota attorney Andrea Mogensen is representing Chastain and 13 other parents from Hernando, Seminole, Broward, Orange, St. Lucie and Osceola counties. She said because retention will affect the students in August, she may seek an injunction so they can progress to the fourth grade.